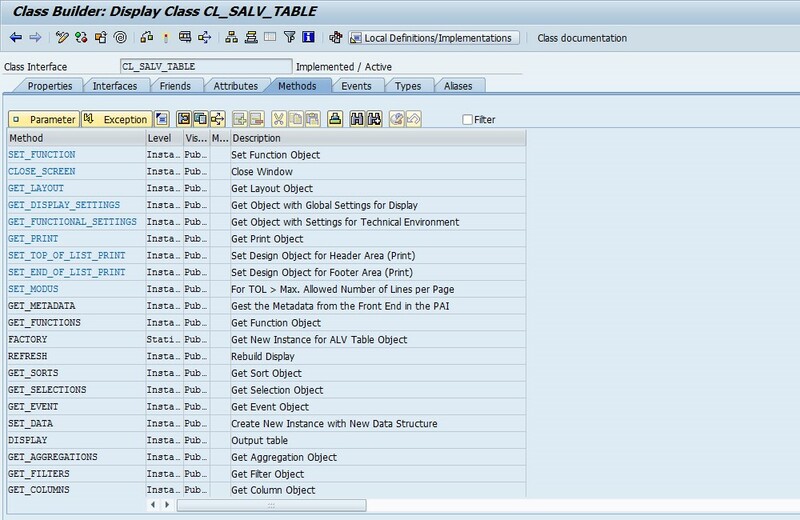 Fortunately, in SAP Netweaver 2004, SAP introduced a new Object Oriented ALV list family class, called CL_SALV. It consists of different ALVs such as table, hierarchy, and tree. 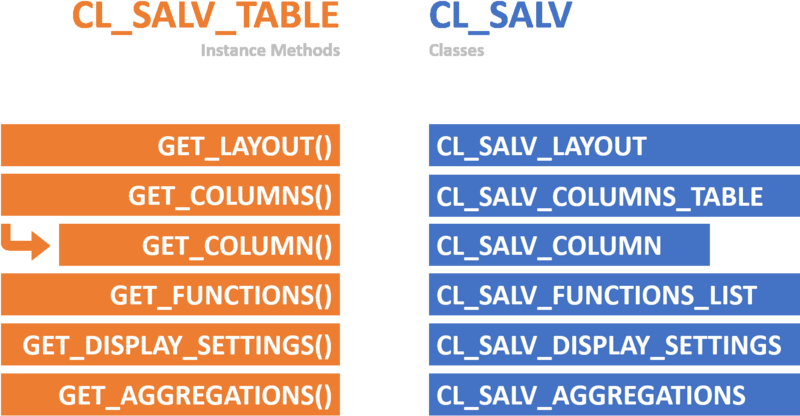 In this blog post series, we will focus on the CL_SALV_TABLE class. I will demonstrate you different settings one by one that you can use later to customize your ALV lists. If we check the class CL_SALV_TABLE in the SE24 transaction, we can find many methods that we can use to customize our ALV list. In this blog post series, we will cover all the most commonly used settings. We are going to use the CL_SALV_TABLE's instance methods to get an instance of each CL_SALV classes that will help us to customize our ALV. In this blog post series, I will use the standard SAP Flight Model to demonstrate the usage of the CL_SALV_TABLE class, within this model I will use the SPFLI database table that contains a complete flight schedule (if your SPFLI database table is not filled with data, then first let's run the ABAP program, SAPBC_DATA_GENERATOR that will generate sample data for you). As you know me, I like the transparent and clean code. In order to achieve this, we are going to organize the different responsibilities into small subroutines, like the get_flight_schedule, the initialize_alv, and the display_alv. So first, we are going to query the actual flight schedule from the database, then initialize an ALV object, and finally display the ALV on the screen. In this subroutine, we are going to query the top 100 rows from the database table, SPFLI and save the received records into an internal table, flight_schedule. To avoid any error, we need to declare flight_schedule as an internal table. Now, I am going to declare it in the global declaration area for the sake of the simplicity. To use the OO CL_SALV_TABLE class, we need to create an instance of it. We can instantiate it by calling its factory() method (Factory Design Pattern) that requires an ALV parameter (we get back the reference in this parameter), and an internal table filled with business data that we want to display. To avoid any error, SAP recommends to wrap the instantiation into a try-catch block. As we declared earlier the internal table, flight_schedule, we need to declare the alv variable also. We are going to define it as reference variable to the class, CL_SALV_TABLE. We finally got over the hump, so from now on our task is very easy. We need to display the ALV list on the screen simply by calling the instance method, display(). It was easy, right? That's what I like in this approach. Effective, transparent, and easy-to-use. After running the complete program, we get the following result. I know, it's really undecorated, but who said it's finished? There is no toolbar, total rows, optimized columns, and so on. That's what we are going to accomplish in the near future.